There are (or were) about ten bands called Riff Raff. This is the American Melodic Hard Rock band. One of the band's members is Doug Lubahn (ex-Clear Light) who appears as bassist for The Doors and Billy Squier, recorded with The Monkees and Ted Nugent (among others) and is/was buddies with Bob Dylan, Miles Davis and Stevie Ray Vaughan. Another band member is Werner Fritzsching who recorded with the Bluesy Hard Rock band Cactus. Then there's Ned Lieben who was involved in Scritt Politti and EBN-OZN. The last member was Mark Kaufman. The music of Riff Raff sounds a bit like the music of Journey and Billy Squier, in the sense that it is radio-friendly melodic Hard Rock. But Billy Squier never managed to fill an entire album with killer material. Riff Raff on the other hand didn't seem to have a problem with that. The strong point of 'Vinyl futures' are the strong choruses and the poppy vocal melodies, sung in a rather high pitched, clear voice that has a slightly melancholic undertone. But let's not overlook the instrumental department. Looking at the band member's pedigree, it should not come as a surprise that they know how to handle their instruments. This is evidenced among others by the uptempo instrumental Hard Rock song 'Time riff'. Another song of note is 'Treat me Right' that's also featured on an album of Pat Benatar. The version on Riff Raff's album is of course the original one. It's probably the album's most commercial track and it's easy to see why Benatar decided to pick it up. The best song of the entire album probably is the six minutes long 'Hall of Mirrors', a sad sounding ballad (yikes!) with beautiful slow guitar solo's and a very sad sounding chorus. It proves ballads don't have to be the kind of syrupy nonsense bands like Bon Jovi have set loose on us. 'Hall of Mirrors' has a feeling that's similar to Gary Moore's 'Still got the Blues', even though it's not the same kind of music. 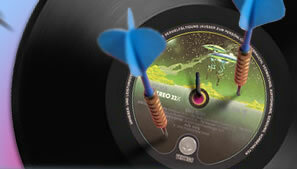 There are seven more tracks on the album, each one standing at the same high level of quality as the aformentioned ones. 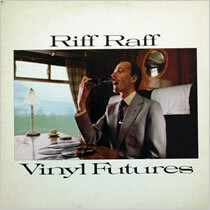 Although Riff Raff had a sound of their own, their album still comes recommended to fans of Journey, Billy Squier, April Wine, Foreigner, Kim Mitchell, Def Leppard, Grand Prix, Orion The Hunter, Kingdom Come (the German one), Nightwing, Sammy Hagar, Verity, The Hunt, Trevor Rabin, Bachman Turner Overdrive and Survivor. They may not exactly sound like any of these bands, but their songs are that good that I can't see any fan of any kind of classic melodic Rock not being instantly charmed by them.